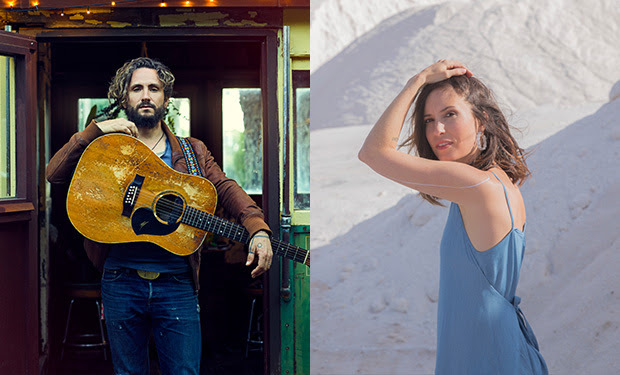 Fourteen years after first sharing the stage, beloved Australian music icons John Butler Trio and Missy Higgins will both make their headline Sydney Opera House debuts with two captivating performances on the Forecourt stage this February for one night only. Set beneath the Opera House’s famous white sails and framed by the dramatic Monumental Steps and Sydney Harbour Bridge, the Forecourt is one of the world’s most spectacular outdoor performance venues, and has played host to The National’s legendary sold-out shows in 2014 and return in 2018, Florence + The Machine’s record-setting run in November 2015, Paul Kelly’s long-awaited Forecourt debut and pop sensation Lorde’s unforgettable sold-out shows in 2017. After a nearly 20-year career as a solo artist and with revered collective John Butler Trio, multi-platinum, six-time ARIA award-winning singer-songwriter John Butler will finally make his Sydney Opera House headline debut this February. Together with fellow collaborators Grant Gerathy and Byron Luiters, the trio will perform cherished hits alongside new music through their signature, progressive lyrics and genre fusion style of folk, rock and blues. The euphoric return to the stage after a four-year hiatus is marked by the personal, fifth album Home; swapping political themes for soul-searching messages. Following a summer tour across Japan, Europe and the United States, John Butler Trio’s final destination will be on home soil as they take to the city’s most impressive outdoor stage for an enthralling night of live music. Fresh from mesmerising 83,000 Ed Sheeran fans at Sydney’s ANZ Stadium, Melbourne singer-songwriter Missy Higgins will showcase her phenomenal music career in a dreamy Sydney Opera House debut headline performance on the Forecourt this summer. First emerging on the Australian music scene as a 17-year-old student after winning triple j’s Unearthed competition, Higgins quickly became the quintessential Australian voice with her authentic nature, honest lyrics and irresistible melodies, garnering her three number one albums and nine ARIA awards. Taking a break in 2009 to complete an Indigenous Studies course and delve into acting, Higgins returned to music reinvigorated, producing three more albums including her latest offering and fifth studio release, Solastaglia. Following her own sold-out headline tour in May this year, this is a performance not to miss. Opening an evening of iconic Australian music will be Perth’s breakout indie starlet, Stella Donnelly, who has spent 2018 charming Australian and international audiences with her bittersweet, honest songs playing SXSW, The Great Escape and numerous world and national tours. Subscribe to SOH Music on YouTube, featuring live shows, interviews and exclusive performances.